A federal jury is preparing to hear a bellwether case regarding the alleged cancer-causing diabetes drug Actos, manufactured by Asia’s largest drugmaker, Takeda Pharmaceuticals. The plaintiff in Terrence Allen et ux. v. Takeda Pharmaceuticals North America Inc. et al alleges damages in excess of $75,000 after he says he developed bladder cancer because of his use of the drug for treatment of Type II diabetes. The drug was approved by the FDA for U.S. sales in 1999, but the plaintiff alleges the drugmaker knew then that the drug, with a brand name of Pioglitazone, caused bladder cancer. This risks, it is alleged, were downplayed to federal regulators and actively concealed from doctors and patients. The trial, one of the first of some 3,000 cases pending across the country, is taking place in the U.S. District Court, Western District of Louisiana (Lafayette). Other plaintiffs are watching closely, as the outcome here could affect those in thousands of other cases. As our Boston Actos bladder cancer attorneys understand it, the trial, expected to span about six weeks, has gotten off to a rough start for the defense. According to Bloomberg Businessweek Japanese officials with the company say they are unable to find files related to the drug from some 46 current and former workers who were involved with the development, marketing and sale of the drug. Among those lost files are those belonging to two of the company’s directors. As a result, the judge ruled, jurors will be allowed to hear that those files were intentionally destroyed by company personnel. This will undoubtedly deliver a major blow to the defense, which is attempting to argue it did nothing wrong and had nothing to hide. At the end of March 2011, Takeda sales from the drug had peaked at around $4.5 billion, accounting for nearly a third of the firm’s revenue at the time. Sales have significantly declined since word of the drug’s danger has begun to emerge. 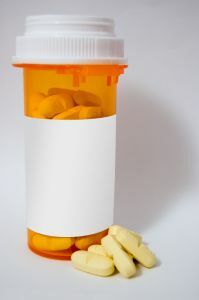 According to court documents in the Terrence Allen case, the plaintiff consumed the prescription drug on his doctor’s orders between 2007 and 2011. The plaintiff alleges that for more than a decade, Takeda was aware that Actos caused bladder cancer and failed to offer adequate warnings of this risk. The plaintiff said in January 2011, he was diagnosed with bladder cancer and sustained severe and permanent personal injuries, as well as pain and suffering and mental anguish. While other previous bellwether cases had been decided in favor of the plaintiffs, those findings were later vacated on a number of legal technicalities. That’s why everyone is watching this case so closely. In the meantime, Takeda recently announced that is suspending development of a new drug, fasiglifam , to replace Actos after research showed it may cause severe liver damage. If you are interested in pursuing an Actos bladder cancer lawsuit in Massachusetts, call the Boston Law Offices of Jeffrey S. Glassman for a free and confidential appointment — 1-888-367-2900.